Cooper is missing his buddy, and wants the world to know we are thinking JOHN THOMPSON STRONG!!! 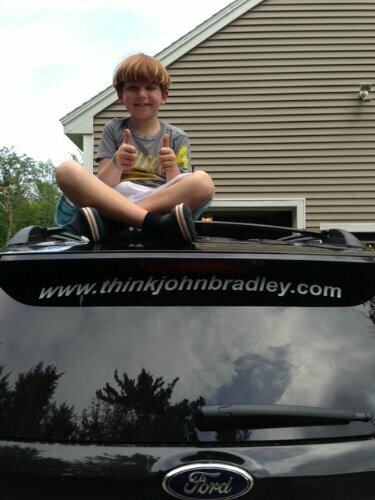 Think JBT stickers are now available at the Gilford Public Library! Come by and get yours. The stickers haven’t arrived at the library yet, but hopefully they will be there very soon!